Spider PR was visited by protestors from animal rights group The Humane League yesterday over the production of cage eggs by one of the FMCG specialist's clients. The agency represents Noble Foods, which produces Gü desserts and several egg products, including free-range brand the happy egg co, and caged eggs brand Big & Fresh. 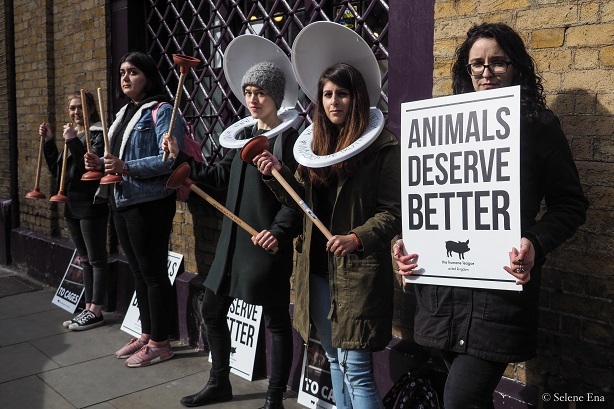 Five volunteers (including a photographer) and two staff from The Humane League spent an hour outside Spider's London office yesterday afternoon, delivering it a letter detailing its concerns. 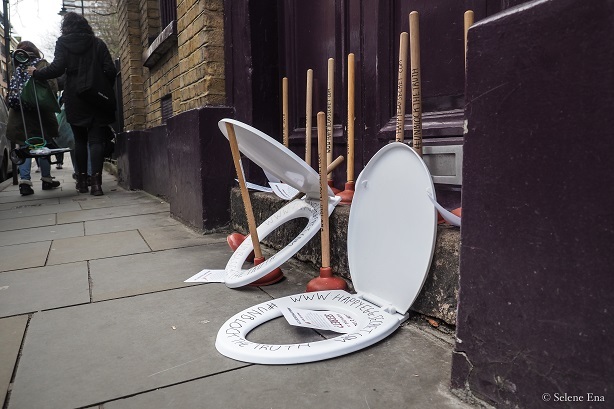 The protesters were "armed with comical props such as toilet plungers to draw attention to how the agency is blocking comments from the concerned public", the group said. The league claims that Spider has not responded to comments on social media about the issue of caged hens, blocking it and supporters on Facebook, Twitter and Instagram. Sara Pearson, CEO of Spider says: "Luckily, we live in a democracy where people have the right to express their opinions and we respect that the Humane League has a point of view. Equally, as a business we should be free to represent clients which operate entirely within the law and with high ethical standards." A Change.org petition to Noble Foods asking it to stop using caged hens has garnered close to 70,000 signatures at time of writing, but The Humane League says the company has not responded to it. Katrina Dixon, corporate campaigns co-ordinator at The Humane League, said: "Spider claims [on its website] that 'as practitioners of PR we have a duty to try and manage responsible outcomes' and that its duties involve protecting Noble Foods’ reputation. Surely, this should also mean advising their clients to take action rather than trying to sweep issues under the carpet. 'No comment' simply isn’t good enough at this stage." It is not the first time an agency has been targeted by a non-profit group. Last April, the anti-fracking group Reclaim the Power held a protest outside St Brides Partners, and returned the following week for a similar activity at now defunct Bell Pottinger - and the agency would later face protests against its work in South Africa, which led to its speedy decline. 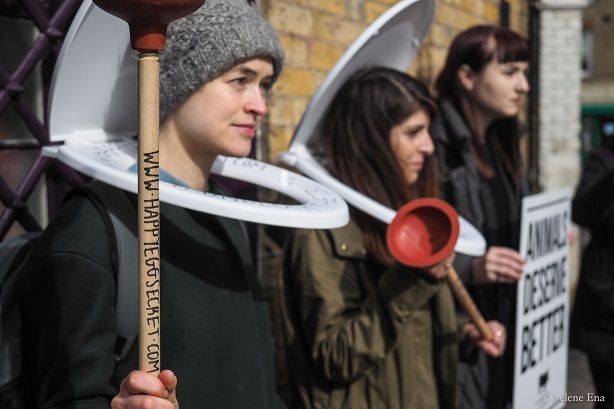 Several of Reclaim the Power's supporters were found guilty of trespass over a previous incident outside Media Zoo in 2015.